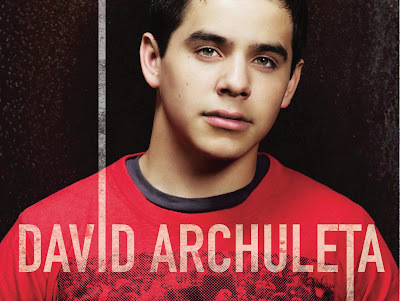 Angel in the Sickroom: Listening to David Archuleta Right Now! I just downloaded the whole album of David Archuleta's new debut album (legally from iTunes Store of course!) and all I can say is that I'm loving his songs right now. every track has this catchy beat that is great for chilling out and relaxing! And I blame David Archuleta for buying myself an iPod touch online. I just realized that my phone can't play songs downloaded from iTunes store since they are protected or something... tsk tsk... But I guess buying an iPod is a good idea. Almost everyone here in Canada has one plus it can double as my organizer and portable gaming console. iPods are really amazing devices! I just bought myself an 8Gb Ipod Touch since I really can't use up all that space and I'm pretty sure that there will be new iPod models in the not so far future so I don't want to buy an iPod that has too much memory than what I really need. I just wish thay Quizno's give me my paycheck this week so that I can have oney ready in my bank when I need to pay my credit card but I'm sure that my paycheck from Tim Hortons will cover my credit card bill. I swear if Quizno's don't pay me this week I will quit. I don't work for free.